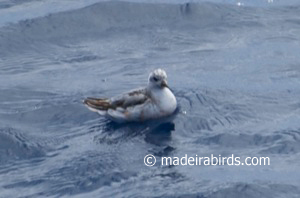 Another trip report of a fantastic Zino's petrel pelagic expedition which took place on the 5th, 6th and 7th August 2010. 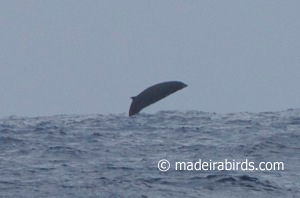 Participants of this trip were: Alan Wilkinson, Lee Gregory, Steve & Liz Dudley (UK) and Martin Gottschling and Oliver Nüssen (GER). 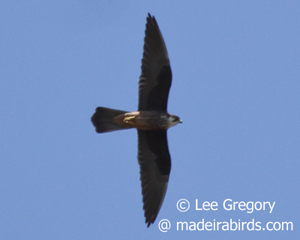 Meantime, while these birders were in land, on the 3rd August 2010 in Prazeres Lee have seen 1 adult male, pale morph Eleonora's Falcon Falco eleonorae and 2 Alpine swifts Apus melba while Martin & Oliver observed another Eleonora's Falcon in the same village. 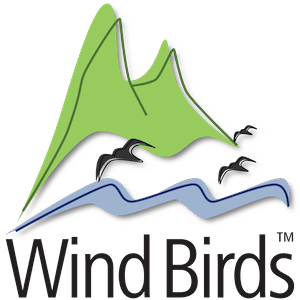 At first they thought it was the same bird but then they compared pictures and descriptions and realized it was 2 different birds. 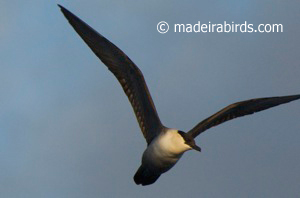 6th August 2010 in Funchal harbor Liz observed an Artic Tern Sterna paradisaea. 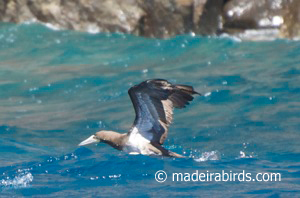 On the 29th July 2010 the Brown Booby was seen on another Wind Bird's pelagic trip - this was the 2nd record of this species for Madeira with its 1st record on the 1st of September 2009. 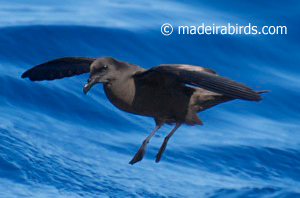 More pelagic trips are to come but very few places available! 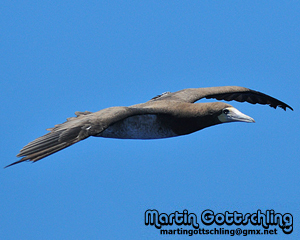 Check the dates now!